If you’re poor at Game Center enabled games and wanted to cheat your way to the top, you’d probably use the Overachiever tweak on your jailbroken iPhone, iPod Touch or iPad. However, the tweak had a major problem, there was no way to go back or reset your achievements! Here’s a new tweak to help you with that. 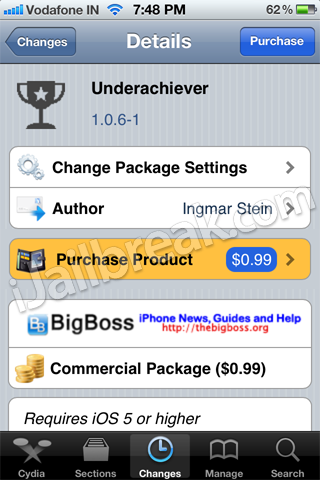 The UnderAchiever Cydia tweak resets your Game Center achievements, which is especially useful if you had used the Overachiever tweak to cheat in the first place. You can also use this tweak to reset achievements in case you wanted to start playing a game from the very beginning. There’s nothing more to this tweak. With both Overachiever and Underachiever installed, you can cheat your way to the top and restart from scratch in case you decide to play nice. The tweak is available in the ModMyi repo for $0.99!